Letters and packages are boring enough. Why finish them off with your messy handwriting when you could stick something spectacular from under the sea on your mail? 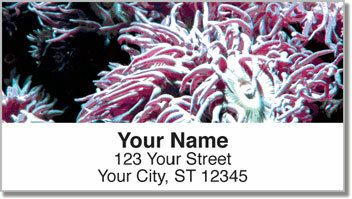 These unique address labels feature photographs of sea anemones. They are named after flowers, but these colorful creatures are not plant-life. They are beautiful and dangerous! Those tantalizing tentacles paralyze prey and pull dinner into their mouths. 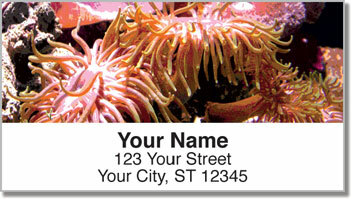 But don't worry - sea anemones pose no harm to humans. Each envelope you send out will have an eye-popping look. But the best part about your new labels is the time you'll save. 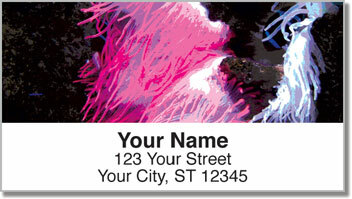 No more scribbling out your name and address. Just peel and place thanks to the self-adhesive backing. 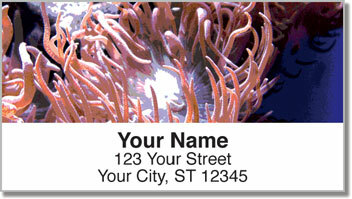 Get your very own Sea Anemone Address Labels now! Order matching personal checks and get free shipping too.